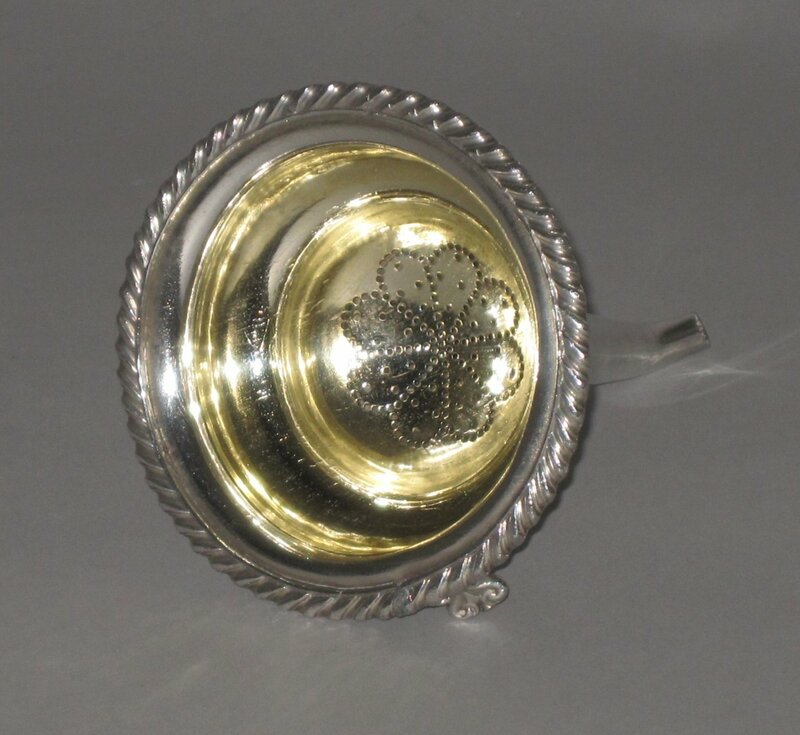 OLD SHEFFIELD PLATE SILVER WINE FUNNEL, CIRCA 1810. AN EARLY 19TH CENTURY OLD SHEFFIELD PLATE SILVER WINE FUNNEL, CIRCA 1810. Having a pierced & gilded strainer and with a gadrooned border. Length: 5.75ins.